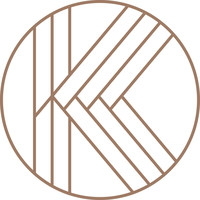 Rosewood Hotel Group introduces a new hotel brand – KHOS – an innovative concept for business hotels with a distinct lifestyle orientation inspired by the energy, art, innovation, creativity, style and dynamism of modern-day Asia. KHOS aims to turn the traditional notion of a business hotel on its head – designed specifically for the modern business traveller, for whom the conventional boundaries of work and play no longer exist, and who is no longer willing to sacrifice style, inspiration, socialising and wellness for the predictable functionality of a traditional business hotel. Derived from the Mongolian word meaning “pair” — KHOS is a befitting symbol how this new brand of upscale hotels will blend work and play, people and ideas, East with West, and business with lifestyle. KHOS will establish a global footprint, matching the footsteps of its guests to capital cities and urban portals, up-and-coming business centres, and resort destinations as well, with the first KHOS hotels to be announced and opened in 2018. In keeping with the KHOS spirit, traditional hotel facilities and services will be re-conceived to create opportunities to spontaneously interact, relate and celebrate with fellow travellers. KHOS will also deliver an environment for repose and reflection — time to unwind, meditate and create — all essential components of a lifestyle in which work and leisure are intertwined in one continuum. Meeting facilities have been reimagined, and event spaces ingeniously designed for greater flexibility and sociability facilitating personal interaction along with business purpose. Taking inspiration from the wealth of culinary traditions from all across Asia, the brand will aim to create authentic, artisanal, communal dining options to intrigue and satisfy both social and gastronomic urges. Innovative approaches to recreation and relaxation, of central importance to the KHOS guest lifestyle, will be applied in areas from spas and wellness facilities to business centres and executive lounges. Couples, friends and families in addition to business travellers will find a fertile environment to be inspired, grow closer and create shared and meaningful experiences.